Money is a touchy subject. This is especially true when dealing with the elderly or infirm. However, facilities cannot keep the lights on if the bills are not paid. It can be a frustrating process- residents or their families promise payment, but the check never comes. Perhaps the family makes small payments here and there. Meanwhile, the balance continues to grow. Not having a clear policy in place for collection of outstanding balances. Facilities themselves are sometimes their own worst enemy when it comes to collecting on outstanding balances. Does your facility have policies in place for the collection of outstanding balances? Do you follow and enforce those policies? If your facility does not have proper procedures in place, your recovery efforts will be much more difficult. Not keeping a full copy of the executed admissions agreement. Your facility should always keep a full copy of the executed admissions agreement in the resident’s file. This document is the entire basis for your recovery. If you file a legal complaint, the courts usually require that you attach the signed agreement. Fully executed means that all blanks are completed, including spaces for initials. The admissions agreement should clearly outline all payment responsibilities and expectations. It is surprising how many facilities use a form agreement, and only keep a copy of the signature pages. Your facility should also keep copies of all intake information. This information becomes key in the collections process. It usually contains valuable information about the resident’s assets, such as life insurance policies, property ownership and other sources of income. Once a facility obtains a court judgment against a resident, this information helps reveal potential avenues to collect that money. The financial information contained in the intake paperwork may also be useful if the resident is trying to qualify for Medical Assistance. It can also help your attorney determine whether the resident or a family member improperly disposed of the resident’s assets. Not keeping copies of all financial information from the patient and/or the patient’s family. Failing to keep copies of checks or other financial information can negatively affect your ability to collect on a judgment. Your facility should keep copies of all payments it receives on the resident’s behalf. In Pennsylvania, one of the easiest ways for a judgment holder to collect on money owed to it is to garnish money from a bank account (with certain exceptions). Having a copy of a resident’s check helps speed up that process because it provides the name of the bank and account information. This can reduce or eliminate the need to engage in discovery or to hire a company to search for bank account information. When a resident, or former resident, owes money, talk to your employees who know the resident. It is amazing what kinds of information employees may have about the resident’s life prior to and outside of the facility. They may be privy to information about rental property, vacation homes and transfers of assets to others. Staff members often know, or sense, when a family member may be misappropriating assets. Many states (including Pennsylvania, Ohio, West Virginia and Maryland) have filial support laws, creating a responsibility for children to support an indigent parent and pay for that parent’s care. While misappropriation of money is not required under the filial support laws, a facility’s case will be much stronger if there is evidence of wrongdoing by the child. Work with your residents and their families to assist in qualifying them for Medical Assistance. The process is confusing and bureaucratic. Deadlines are easy to miss. Guiding the resident and their family through their process can greatly assist in these efforts. As a facility, you can have an attorney involved in the process. Your admissions agreement should include releases and authorizations that permit the facility to help secure Medical Assistance on the resident’s behalf. The Fair Debt Collections Practices Act (FDCPA) prohibits debt collectors from using particular tactics of debt collection and requires certain procedures. Make sure your billing office employees are educated on the FDCPA. Similarly, if you use an outside agency to handle your collections work, make sure they follow the requirements. Your company can suffer substantial fines for violations of the FDCPA, whether you violated the act yourselves or allowed vendors to do so. Cash flow is an essential measure of corporate health; improving your collections process can have a real impact on your bottom line. No one expects you to be experts in everything, so consider working with someone who can help your facility improve its collections process. 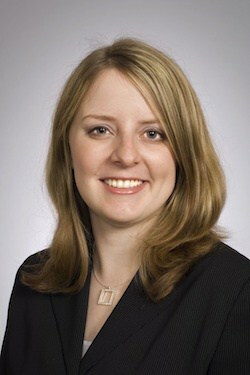 Danielle Dietrich, Esq. is an attorney with Tucker Arensberg, P.C. She handles all matters of business and commercial litigation for a variety of clients, including long-term care facilities. She can be reached at ddietrich@tuckerlaw.com or 412-594-5605..